Shidzidzi Safari Home is located in the Welgevonden Game Reserve, Limpopo Province, South Africa. The Welgevonden Game Reserve comprises some 40,000 hectares of pristine bushveld and ranks amongst Southern Africa’s largest private game reserves and forms part of the only savanna biosphere reserve in the world, proclaimed by UNESCO in March 2001. It has the greatest variety of plains game, is home to South Africa’s ‘’ Big Five ’’ and is malaria free. 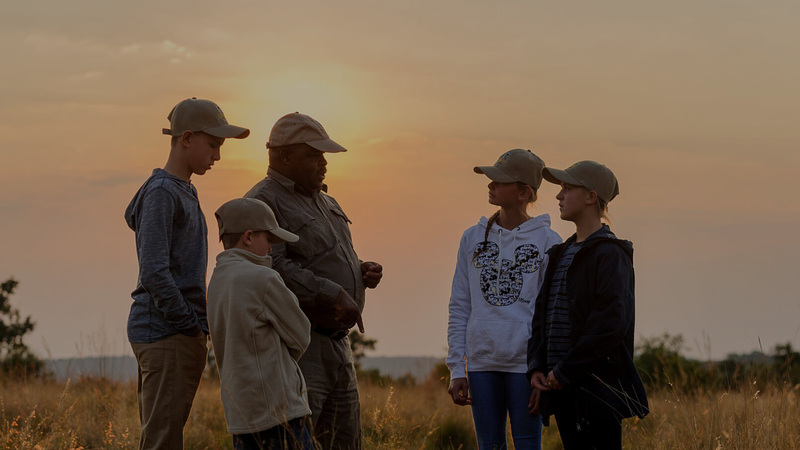 The Welgevonden Game Reserve is pioneering in its conservation initiatives and thus it is important that its conservation ethos also forms an integral part of a multi-generational family experience. Shidzidzi Safari Home accommodates up to 10 guests catering for multi-generational family safari vacations on a private use basis only, thereby offering family exclusivity where an entire family can spend quality time together, making the safari experience more delightful and meaningful. The need to disconnect from everyday life and connect to the wilderness is becoming increasingly sought after, with more and more families opting for experiences that are good for the soul and not purely for travel consumption. Shidzidzi Safari Home is thus strategically positioned to offer an exclusive and unique private multi-generational aspirational family safari experience. Shidzidzi Safari Home provides stunning views over the Welgevonden Game Reserve and is fully secured with an electrified fence to provide security from predators and big game.